There is an old saying that the only thing that is constant in life is change. For the medical device industry during the past couple of years, this has certainly been the case. Following up on my predictions from 2017, my bold prediction is that changes will continue to be in 2018. Here are my top 5 predictions for what will happen in the coming year. Yes, the medical device regulations and IVD regulations are officially in place in Europe. From some perspectives, the recent changes in EU were long overdue. Prior to the changes that occurred in mid 2017, many lauded the EU model for medical device regulatory clearance as a model that should be emulated by other regulatory bodies. By contrast, the FDA model has come under some scrutiny in recent years. 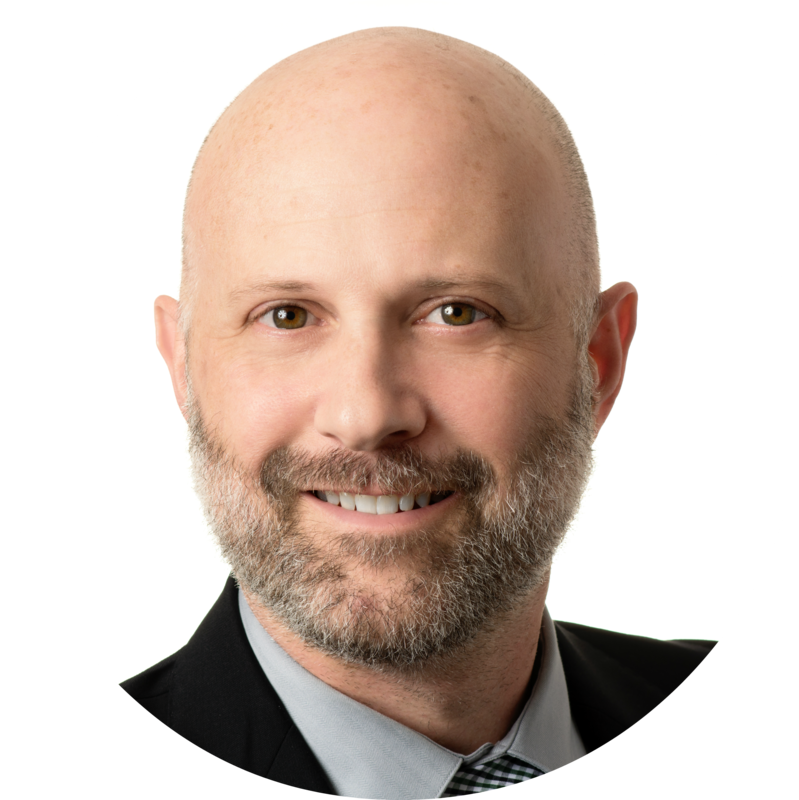 However, with the new administration, including a new head of FDA, there seems to be significant interest by FDA in simplifying the clearance process for life sciences technologies. FDA’s immediate focus of simplification seems to be focused on pharmaceuticals. I would expect medical device process simplification to be evolve over the next couple of years. But now the EU MDR and IVDR are in effect, many are questioning whether the European regulatory changes are a move in the right direction. Will these changes improve the EU model? Or will these changes make it more difficult to get new medical devices to market? Another factor compounding the challenges medical device companies will face with respect to the EU market is the contraction of the number of notified body organizations. EU’s scrutiny of notified bodies actually began in 2010 after the PIP product issues. From what I’ve been reading, I would expect the number of notified bodies is likely to reduce even more as the European Competent Authorities continue to scrutinize these firms. As a result, there are now fewer notified body resources available to medical device companies seeking EU market clearance while at the same time, the regulations have changed and are more extensive. For those who plan to enter and/or stay in the EU market, it will be harder and take longer to get these products to the EU market. ISO 13485 was revised back in early 2016. With this change, there was a three-year grace period to obtain certification to ISO 13485:2016. Expect 2018 to be a busy, busy year for ISO 13485 registrars and auditing organizations. Many medical device companies have put off ISO 13485:2016 certification to the last minute based on the three-year adoption time period. But now, that window is closing quickly. Like with the notified bodies, ISO registrars have also been more heavily scrutinized by the EU Competent Authorities. As a result, there has also been a reduction in the number of registrars. The contraction, in and of itself, has caused supply and demand challenges. Add in a time constraint for shifting to ISO 13485:2016, and the supply and demand challenges are even more of a factor. To put it in perspective, if you are a medical device company seeking certification to 2016 version of ISO 13485, you should easily anticipate being put on a six-month wait list to start the certification activities. And expect these wait times to increase as we get into the early part of 2018. Translation: If you are not in the queue with a registrar for ISO 13485:2016 certification by the end of Q1 2018, your ability to achieve certification before March 2019 will be highly compromised. Risk management will continue to be a focus in the medical device industry. The current harmonized version of ISO 14971 was published in 2007 and is due for a revision. The recent changes in ISO 13485:2016 and EU MDR / IVDR further emphasize the importance of risk management. The Working Group responsible for updating ISO 14971 has been meeting throughout 2017 and will continue their efforts into 2018. Word on the street is that the WG will provide a draft revision of ISO 14971 for industry comment early in 2018, likely in January or February. Expect this revision to maintain the risk management process and to be enhanced in areas such as cybersecurity, human factors, and usability. Too soon to know, however, how EU will embrace the revision to ISO 14971. If you recall, the EN ISO 14971:2012 version added Z annexes and has created quite a bit of confusion and discord with respect to risk management. Hopefully the new version to ISO 14971 will be embraced throughout the world. Note, the revision to ISO 14971 is not expected to be published and final until 2019. Some of the biggest news in the medical device industry in 2017 was the medical device single audit program (MDSAP). Health Canada announced that companies selling medical devices into the Canadian market would be required to have ISO 13485:2016 with MDSAP audit prior to 2019. This deadline has sent shockwaves throughout the entire industry, with many small and mid-sized medical device companies questioning whether or not they could afford to continue in the Canadian market based on these imposed MDSAP requirements by Health Canada. As of September 2017, Health Canada is sticking to this deadline. The MDSAP is a good program in theory. Theory is that if you have medical devices in all markets, instead of having separate quality system audits and inspections, you can just have one. For most regulatory agencies involved with MDSAP, the program will continue to be voluntary. The program is new enough and a lot of kinks that still need to be worked out, especially for smaller companies. Also, the regulatory environment is not necessarily small company-friendly. Some report that MDSAP audits can take 9-15 days, consecutively. This is a huge time and resource commitment, especially for smaller companies. As a result, many of the smaller medical device companies cannot afford the added time and resource constraints with respect to the Canadian market size. Expect Health Canada to loosen their deadline on MDSAP during the first half of 2018. Clearly with all the changes in recent years in the medical device industry, companies are trying to stay up to speed with all the new and revised regulations and requirements. As a result of the, what seems to be, ever-changing regulations, medical device companies feel somewhat stuck in constantly dealing with compliance. Just when we understand and begin to comply with the new “rules”, the rules seem to shift and change. Good news on shifting from compliance focused to quality focused with respect to FDA. FDA has been quietly promoting the “Case for Quality” program. Historically, FDA has been seen as a policing body, and the Case for Quality initiative will move them to be more friendly to industry. I predict more medical device companies will focus on quality instead of just addressing compliance. Also, I believe we’ll start to see the FDA will shift how they inspect companies and be more collaborative. 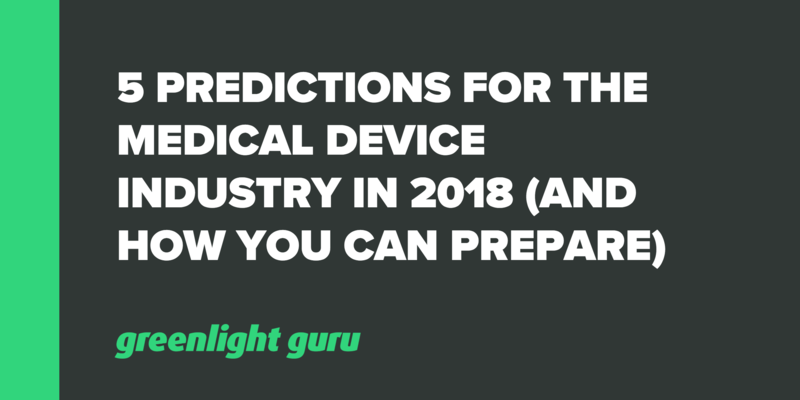 Yes, there will be more changes for the medical device industry in 2018. The companies who will excel and be the market leaders are those who will embrace and adopt these changes sooner, not letting compliance become an obstacle to their success. The companies who will excel will shift to focusing on true quality.